Limited Addition Hematite Cross Necklace! Hey guys! I’ve added another product to my shop on Etsy. 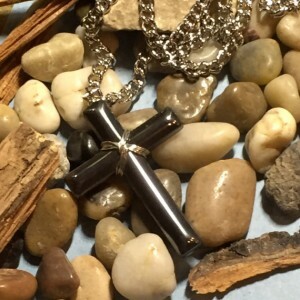 A cross necklace made of the semi-precious stone, hematite! Here’s a bit about it: the cross is made of polished black hematite, has wire wrapped around the middle, and is about an inch and a half long. It has a bulky chain that it is attached to that is 24” long, and it is perfect for both men and women. It’s a limited addition item because I’m not sure if I can get more of the hematite (don’t you just love hematite jewelry?). 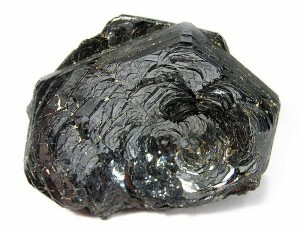 I’m also going to tell you a little about the semi-precious stone, hematite: hematite is the mineral form of iron. It is colored black, steal, silver gray, brown, reddish brown, or red. My necklace is made of polished black hematite with a slight sparkle. It’s beautiful, and I believe that black is the most common kind. It is derived from the Greek word for blood – haima – because it can be red in its powdered form. It is used as a pigment in paint and is known as kidney ore (which is red) when it forms in a reniform (kidney-shaped) habit. Store it so that it is not touching other jewelry pieces! 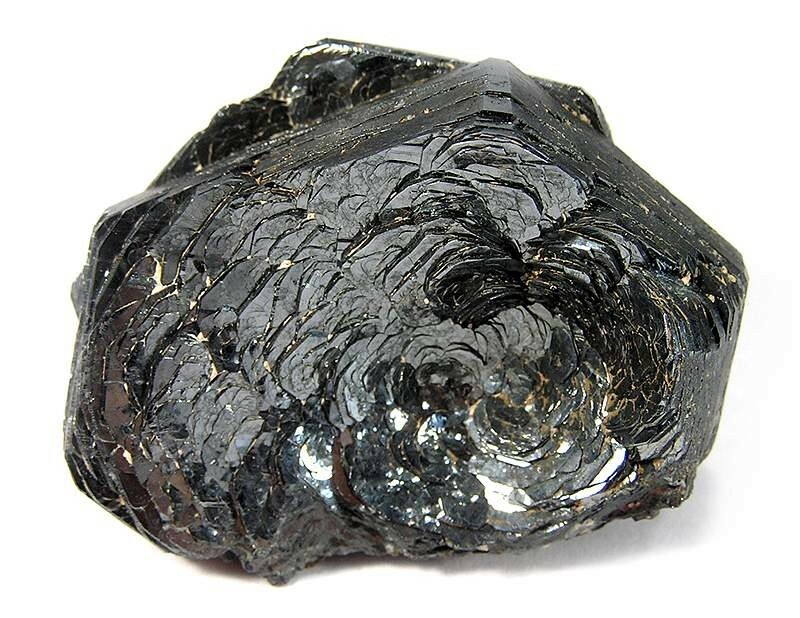 Hematite is in the middle of the hardness scale so it gets scratched easily. Keep it clean, but never put chemicals on your necklace! Clean it using mild soap, water, and a polishing cloth. Don’t put hairspray, makeup, perfume, or lotion on after putting your jewelry on; put it on first! Don’t casually toss it around! I also sell other items in my shop: silver tone cross earrings, gold tone cross earrings, silver and gold tone heart lockets for girls, and matching lockets for dolls (like American Girl!) Thank you for reading, and for a link to my new item please click here. It’s really pretty! See you on Monday Kenna! Thanks Abby! I’ll see you on Monday! Hi Kenna! Just a quick question are the cross earrings solid gold? Thanks!